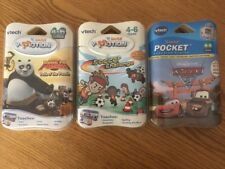 New ListingLeapfrog Explorer Game Disney Pixar Cars 2...Tested! Fast Shipping! 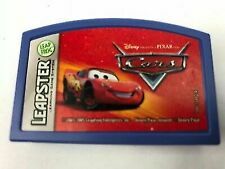 Leapfrog Explorer Game Disney Pixar Cars 2...Tested! Fast Shipping! Game is in great shape and tested! See pictures before buying. Please feel free to check out all the other items available in my store! Thanks! Excellent Gently Used Condition! Short Vowels. Pre-writing Skills. Refer to photos for actual item. Disney Pixar. Cars II, V Tech Learn & Go Lightening McQueen Learning Talking Toy. The desert, raceways, Italy, Japan and Radar Springs as either Lightning McQueen or Mater. Collect Numbers to help Lighting McQueen to race the fastest cars in Italy. Match cars to help Mater find the troublemakers. I looked at the trending prices on sold books to decide on an asking price. (I have found people want to be able to piece together their own lots as opposed to having them pre-set. I continue to be amazed by the technology that makes this possible, and I am sure the pens were part of the reason both our girls learned to read before entering kindergarten. ). It is pre owned. Teaches Reading and Math. And so much more. Each item is inspected and graded. Next, each item is wrapped in bubble wrap to prevent any future scuffing or scratching. Estimated release dates are given to us by the manufacturer and are subject to change. VTech Disney Pixar Planes Cars Dusty Soar & Learn 9X7" Handheld Educational Toy. Condition is Used. Shipped with USPS Priority Mail. Super cool looking. Works as it should it is missing its battery cover that being said the batteries to hold securely and the compartment is clean. Priced to sell purchase with confidence. Does have minor surface wear from a kid loving it. Please review all the pictures and ask as many questions as you'd like. Takes 2 double a batteries which are not included. The answer doesn't always have to be "Yes" -- I'm not that crazy of a dad -- but it needs to be "Yes" more often than it is "No.". The proceeds then go into our girls' college funds. Disney Pixar. But what may appear as excellent to us, may in fact be "good" or "very good" to you. New ListingLeapFrog LeapReader Imagination activation Disney·Pixar Write it set. LeapFrog LeapReader Imagination activation Disney·Pixar Write it set.. Condition is New. Shipped with USPS Media Mail. This is a Game/Book cartridge for a Vtech V.Reader system! This is used but in like new fully functioning condition! Payment is due upon purchase! I will ship the next business day excluding holidays! Check out my other listings for more V.reader books! Relative speed is learned as they help Lightning McQueen practice for the Big Race at Willy’s Butte and then race at the Speed Way. the desert, raceways and Radar Springs as either Lightning McQueen or Mater. I looked at the trending prices on sold books to decide on an asking price. I continue to be amazed by the technology that makes this possible, and I am sure the pens were part of the reason both our girls learned to read before entering kindergarten. The proceeds then go into our girls' college funds. New my first smart pad. For ages 18 months. This is an excellent condition and we sterilize all toys before shipping. Free Shipping in the continental US. All others send message for quote! INTRODUCE DIFFERENT SOUND AND SHORT SENTENCES. Observe each photo in detail. They are beautiful. Free of pets and smoke. What you see on photos is what you get. If you have any questions, feel free to contact me! Check out our other items and be sure to add us to your favorites list. Item will be shipped upon receipt of payment. We ship quickly and we give you the tracking number. Please feel free to contact with any doubts, I Will Reply quick. Let me know before any neg-neutral feedback, Ill make it right if I Made a mistake. U.S. shipping only. FISHER PRICE IXL LEARNING SYSTEM MICKEY MOUSE CLUBHOUSE & DISNEY PIXAR CARS EC! For your consideration is a nice Fisher Price Disney Mickey Mouse Clubhouse & Pixar Cars IXL Learning System Discs. Kids will have hours of fun learning! Would make an excellent gift. This is one of the Early Reading Series with emphasis on advanced phonics, designed to teach short vowels, long vowels and word sounds for children 4 to 8 years. Relive Lightning McQueen racing adventures from Radiator Springs to exotic international locations! 100% tested & working LIKE NEW!